In our time as an SEO company, we’ve worked with a wide range of websites and businesses. In recent years, we’ve seen plenty of online gaming services emerge. When a game gets popular, so does the community and support around it – just like any other niche, this requires SEO to get high visibility. Case in point is League of Legends (LoL). This is a very popular game and there are plenty of businesses, such as fan websites, communities or even online stores, that revolve around this. So, the real question is, which SEO services can benefit your LoL site? 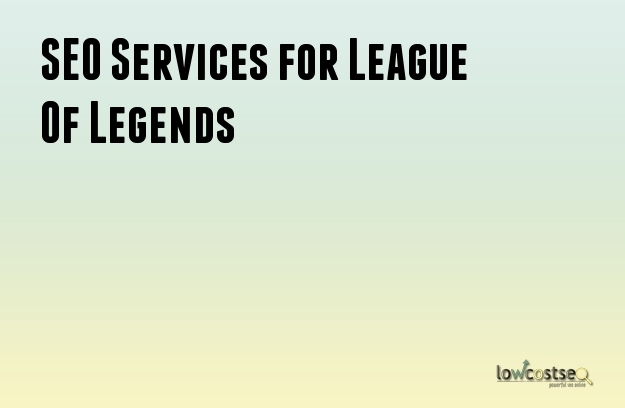 Unlike many other industries, LoL is purely online. This is something that should be reflected in your SEO, avoiding local data (such as your address etc). However, an international community also has different languages, so be careful if you start operating on a multi-lingual level. Language hreflang tags will ensure Google doesn’t get confused by websites running multiple languages. That being said, it’s also important to remember about mobile search traffic. People like to browse on the go so, when someone’s not at their laptop or PC playing the game, that doesn’t mean they aren’t still thinking about it. Many other services – or even just some simple reading – occur away from the computer. A strong backlink profile is vital for any SEO effort but, with something like LoL, there is a chance to build links in the right areas. Outreach has many forms but, for LoL, we recommend establishing links on gaming sites with active LoL communities, as well as using social media to stay engaged. Why is this important? If you’re going to be building links, you should put them where they are most likely going to get the right traffic. Amateur or early gamers might not be looking to invest more money in LoL just yet but people on forums? They’re already engaged and enfranchised on some level already. The terms and queries people use will often highlight their experience with a game. Someone looking for tutorials and beginner’s tips will likely refer to the game as “League of Legends”, while more enfranchised people will use the LoL abbreviation. When conducting keyword research, we know how important it is to match the keyword targeting to the audience you’re seeking. A good example of this is the term “smurf account” - an early, unranked account in the game. This is a very popular service yet, due to its enfranchised customers, it has a very specific term. This can also be said for skins and other in-game features. From an SEO perspective, keyword targeting should think like gamers think. This is something you may also want to consider with your website structure. When optimising your website, we prefer to direct relevant keywords and topics to their own pages. This way, people searching for various things can get to the exact page, rather than having to navigate from the home page. This grabs peoples attention as quickly as possible, ensuring a low bounce rate.